The camp curriculum engages students in mathematical and scientific explorations, experiments, games, and logical applications. 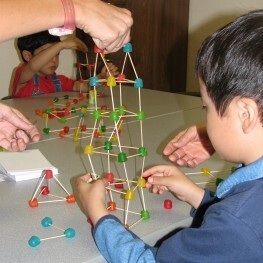 Additionally, students are exposed to a wide range of math and science topics through activities and discoveries. Subjects that are covered in our Junior Math/Science will include: math art, money, shapes, fossils, rockets, submarines, chemistry, and more. Students will learn how math applies to everything in the world around them, and learn how math and its applications can be a lot of fun! Our vision is to have all students experience the beauty of math and science through fun, engaging, and challenging activities.